It took Alfonso Cuaron and his visual effects guru Tim Webber four and a half years to bring Gravity to the big screen because cinematic technology just wasn't up to scratch. But if you want to watch Gravity while experiencing zero gravity, all you need to replicate weightlessness is a plastic pod filled with Epsom salts and water. Last week, twelve fans were invited to Stockholm to watch the film in a specially constructed environment built by Warner Bros. to be as close to the feeling of being in space as possible. 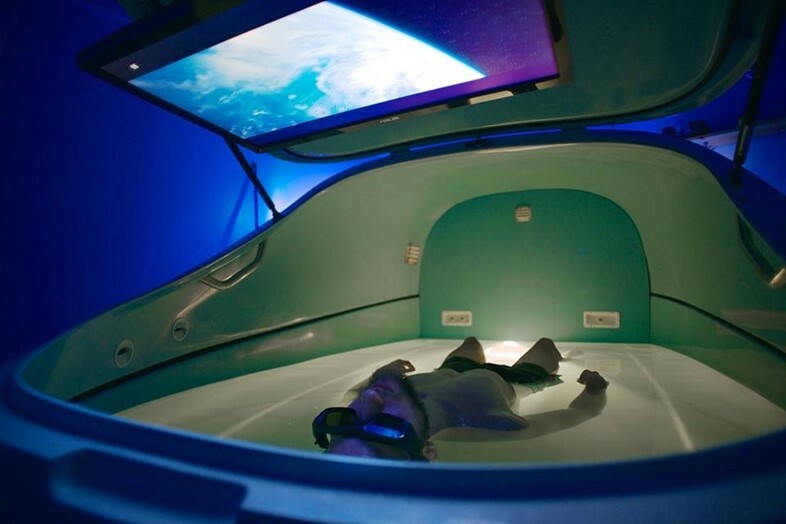 Participants sit in a Minority Report-style pod to replicate the sensation of floating in space. Each tank was filled with a saturated Epsom salt and water solution to ensure space-like floating (like you get in the Dead Sea). The water was heated to 35.5 degrees celsius, the resting temperature of human skin: once you're submerged, it's apparently impossible to tell what body parts are underwater. Then you're outfitted in 3D goggles and lie on your back, watching the film. Sounds far better than the Odeon. Where can we sign up?